The Carolina RailHawks sit atop the NASL Spring Season Standings after five weeks, and midfielder Austin da Luz is a big reason why. 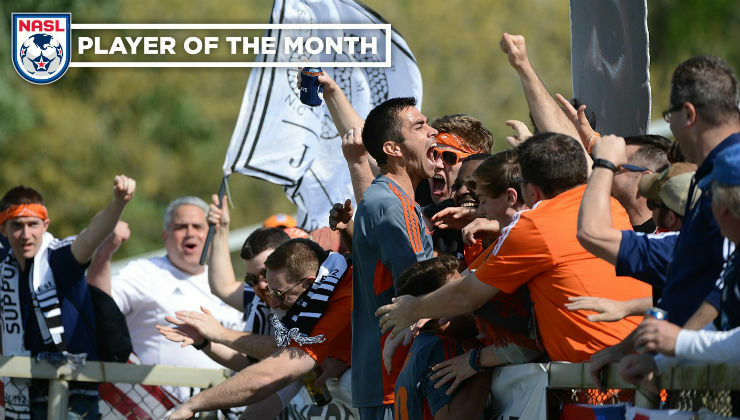 The veteran’s three goals, plus his commanding presence in the RailHawks’ midfield, were enough for the media to name him NASL Player of the Month for April. "It's an honor to be named NASL Player of the Month,” da Luz said. “It's been a great start to the season for us, and this award could have gone to a number of my teammates. I'll happily accept it on behalf of the entire club for this month, and I know it's something we would like to keep among us in the months to come, along with a Spring Season title." Two of da Luz’s three goals this season have proven to be game-winners. The 5-foot-10 midfielder struck the all-important goal in a 2-1 season-opening win over Minnesota United, and he followed it up with a dramatic stoppage-time winner in a 3-2 win over Rayo OKC. Along with outstanding performances from teammates like Nazmi Albadawi and Tiyi Shipalane, da Luz has been one of the key factors in Carolina’s early season success. The first-place RailHawks go into Week 6 three points clear of both Minnesota and the New York Cosmos, who actually dealt the RailHawks their first loss last weekend. Goals have been da Luz’s most recognizable contributions this season, but the 28-year-old veteran has been one of the league’s most active players on the ball. Deployed as a central midfielder, da Luz is sixth in the league in crosses (21) and 12th in overall passes (228). In the attack, da Luz has been efficient, converting three of his seven shots. One of the many RailHawks players with local ties, da Luz grew up in Winston Salem, N.C., and featured for the Wake Forest Demon Deacons in college. He made his professional debut in 2010 with the New York Red Bulls and also spent time with D.C. United. Since then, outside of a short stint with Orlando City S.C. in 2014, da Luz has been a regular in the RailHawks team. His first stint with Carolina came from 2012-2013 and then he picked back up with the club in late 2014. The league-leading RailHawks return home to the friendly confines of Wake Med Soccer Park this Saturday when they play host to the Fort Lauderdale Strikers. Kickoff is set for 7:30 p.m. 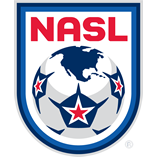 ET in Cary, N.C., and the match can be seen live on ESPN3 in the U.S. and NASL.com in Canada.